The term Point of Sale (POS) describes the place where retail transactions are made. Think of it as the equivalent of a cash register. POS includes the hardware and software related to transactions, such as the cash drawer, credit card swipe bar, barcode scanners, receipt printers, and more. POS is an important feature for all businesses that sell products, whether it’s in a store or online. But a good POS does more than just ring up the customer. Today’s POS systems are often integrated with other systems, streamlining operations. A POS can also automatically help with merchant transactions, and assist with analyzing data in your business for greater success. Investing in a POS system is hailed as being one of the best things you can do for your business. Here are six benefits of a good POS and why your business needs one. POS systems are comprised of various hardware, software, and levels of sophistication and complexity. However, as Investopedia notes, even the most basic POS systems, which include an electronic cash register and software to coordinate sales data, allows businesses to increase their functionality. 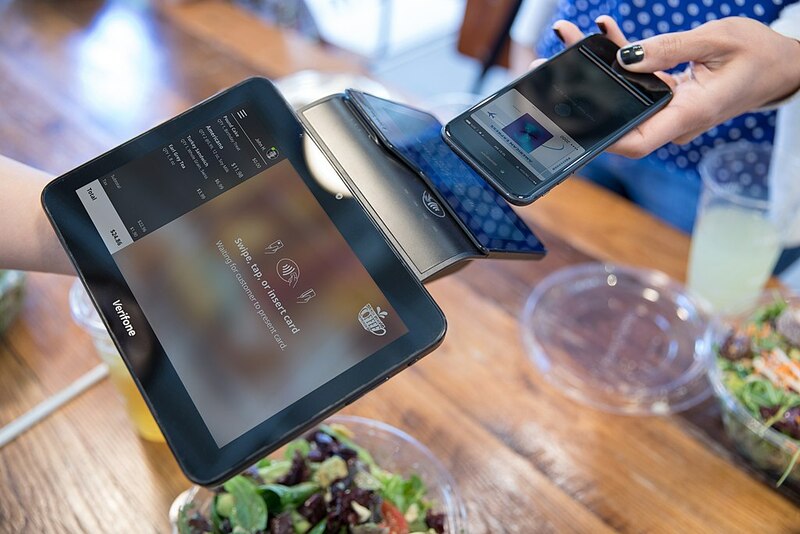 With a modern POS system, businesses can improve their flow and function. A mobile POS system enables you to conduct business and sell products from multiple locations — and still be streamlined. By investing in a mobile POS system, you can expand the reach of your business and products, selling to consumers from locations other than a physical store. Mobile POS software — together with a simple swipe device — can effectively turn your smartphone into a retail POS system, allowing you to accept transactions remotely, and consequently expanding business operations. Mobile POS systems can be useful for accepting credit cards and selling at fairs, craft shows, and farmers markets. POS systems simplify business data management related to sales. You can log, track, and access real-time data quickly, efficiently, and securely. Rather than requiring you to transfer data from one system to another, a good POS will be integrated and offer real-time dashboards to see sales performance and metrics at any moment. Modern POS systems contain a database which enables merchants to keep track of the items they have in stock. With advanced inventory data stored within the POS software, retailers can use their POS to look up previous transactions, track their best-selling items, and reorder products when they get low in stock. Look for a POS that either integrates with your inventory system or offers its own centralized inventory management. POS systems can be an effective way to track sales by individual employees. As well as the employer monitoring the performance of sales teams, employees can use such systems to track their own sales statistics. By tracking sales statistics, employees become more aware of their own personal sales targets and objectives. As well as being a powerful motivator in achieving individual sales targets and objectives, a POS can act as an effective tool in identifying where sales can improve, through means such as improving customer service. Managing taxes can be time-consuming, complex, and confusing. An advanced POS system for retailers calculates the tax for you, including across states. This provides simple tax management and therefore saving you time. It will help you reduce errors, too. A modern POS system will help make your business more cost-focused, will save you time, can improve your relationships with customers, make your business more flexible and mobile, and record vital inventory and revenue data.